- Coming after the New Year: Carlos Mencia and Nick Kroll (of FX&apos;s The League) head to UP. 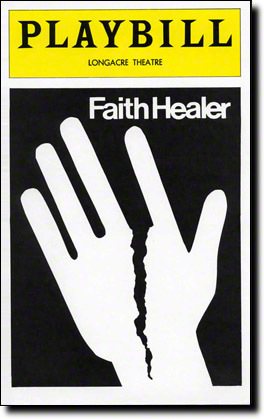 - The Den Theatre is remounting Brian Friel&apos;s Faith Healer starting in December. According to the Den, the play previously "played to sold-out houses" at both TurnAround Theatre and Steppenwolf in 1995. It&apos;s a play that "shows us the reality of grace, the unfolding of mystery and the healing powers of faith," and first opened on Broadway in 1979. - The RedEye celebrated 10 years of publishing last night with an all-star roast at the Laugh Factory, MCed by Ernest Wilkins.